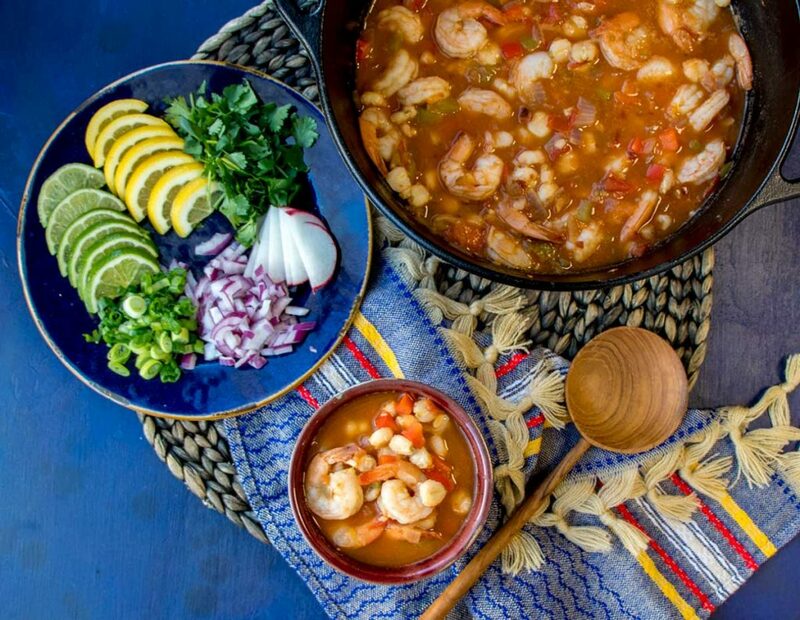 This Shrimp Pozole Recipe post is sponsored by Mirum Shopper. All opinions are my own. Spring is near and you know what means … Lent! Now, whether you are cutting back on eating meat for Lent or for some other reason, it's still nice to get some protein in. 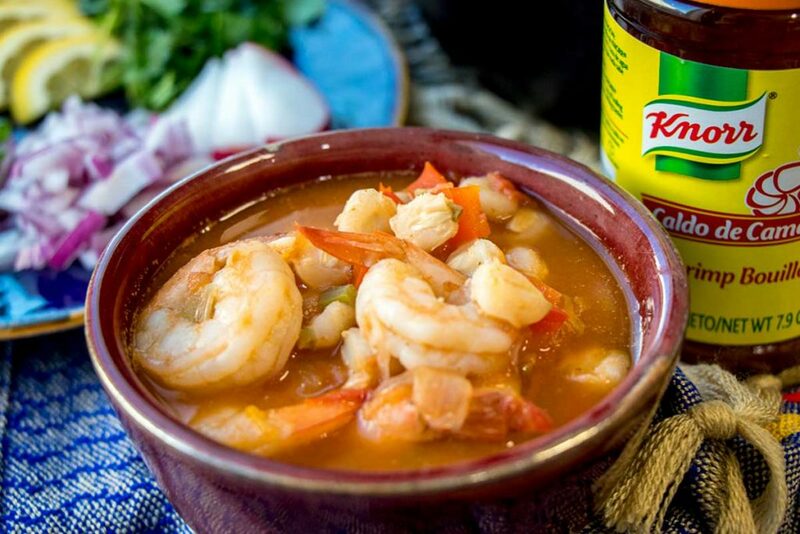 That's why we are making this easy-to-make Shrimp Pozole Recipe featuring Knorr Shrimp Boullion. Yup, the same company that makes our favorite chicken and beef boullion also makes Knorr Shrimp Boullion. Knorr Bouillon is super versatile for any every day cooking you do. We use it in everything from rice to pot roast and so much more! 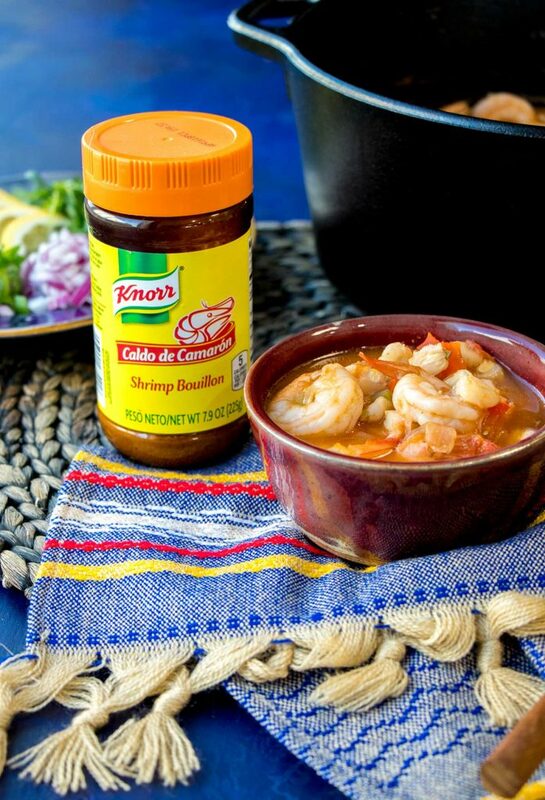 Plus, Knorr Boullion is the secret ingredient to add a rich and authentic Latino flavor to your cooking. 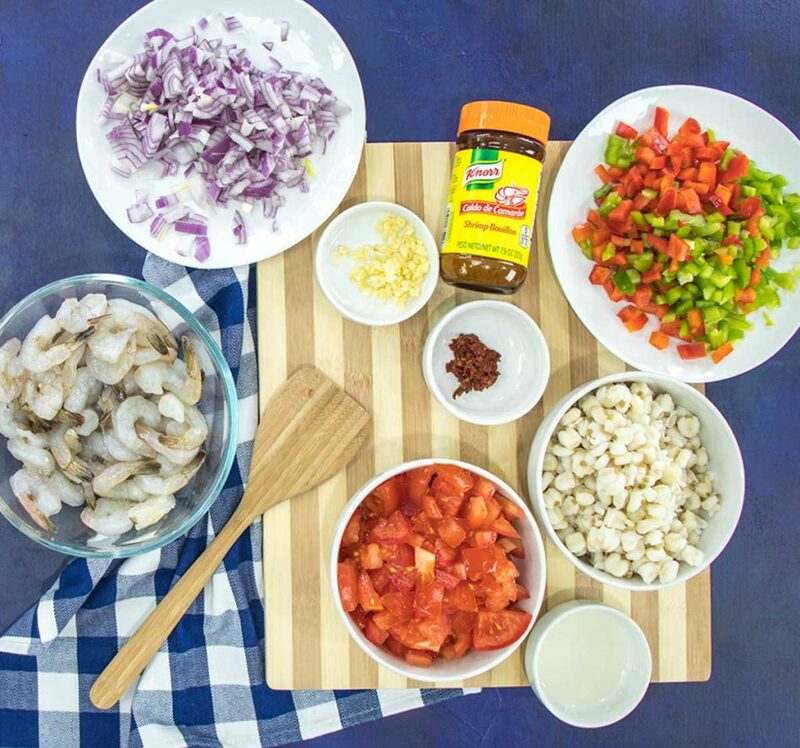 Knorr's website has loads of FREE recipes to inspire your culinary creativity and make meals better. 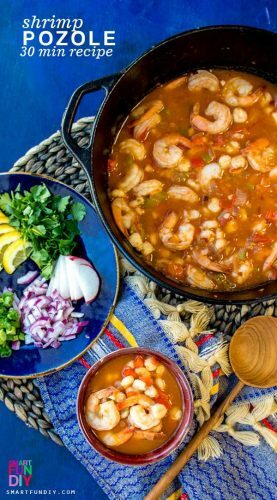 Get the recipe for this Easy Shrimp Pozole Recipe HERE. 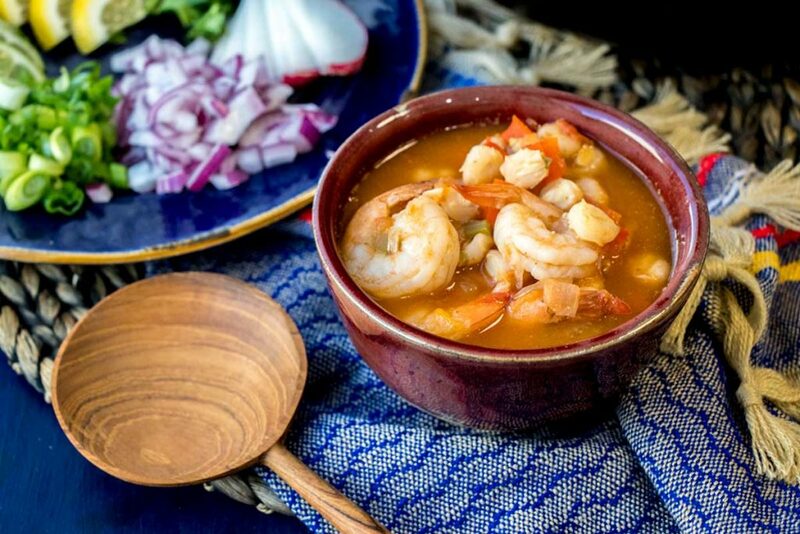 A delicious easy shrimp pozole for Lent. HEAT oil in 5 to 6-quart pot over medium-high heat and cook onion and peppers, stirring frequently, until golden, about 4 minutes. Add garlic and chipotle peppers and cook, stirring, until fragrant about 30 seconds. Stir in tomatoes and cook over high heat, stirring frequently, until tomatoes soften and break down, about 5 minutes. 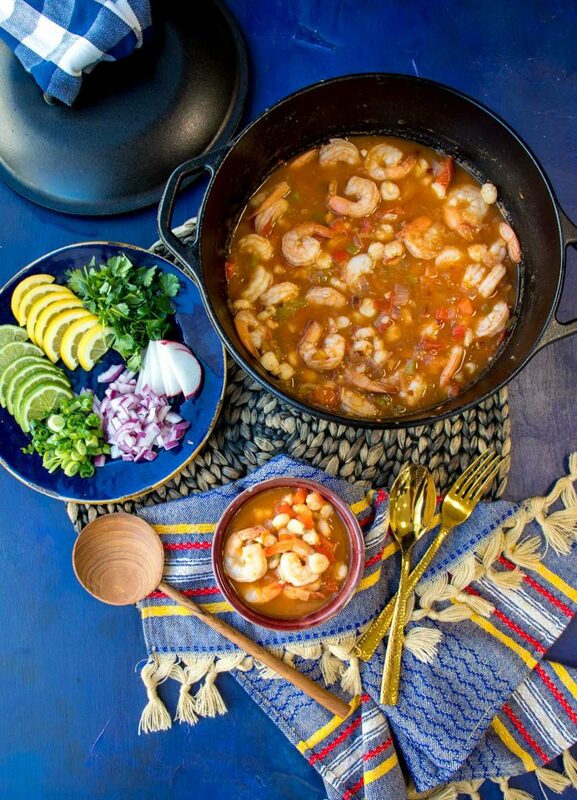 STIR in 1 cup water, hominy and 1 tablespoon Knorr® Shrimp Bouillon and bring to a boil. Cook, uncovered, over medium-high heat 5 minutes. 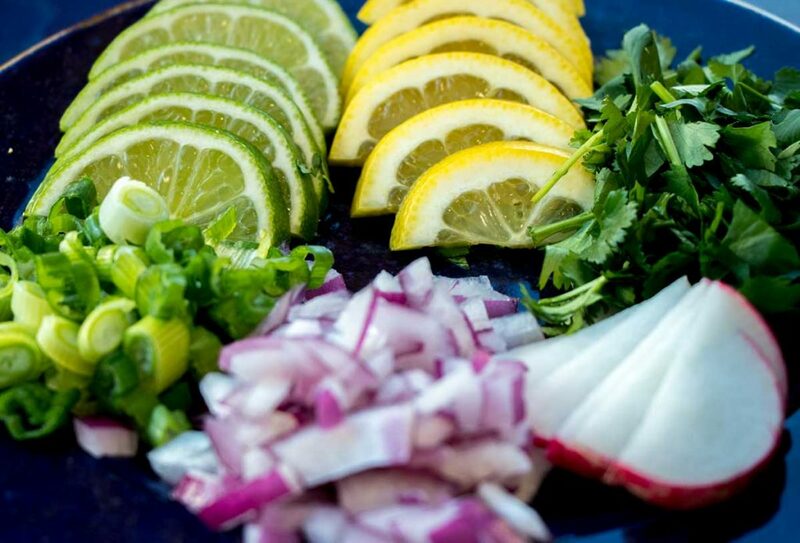 chopped onion, lime wedges and dried oregano leaves. 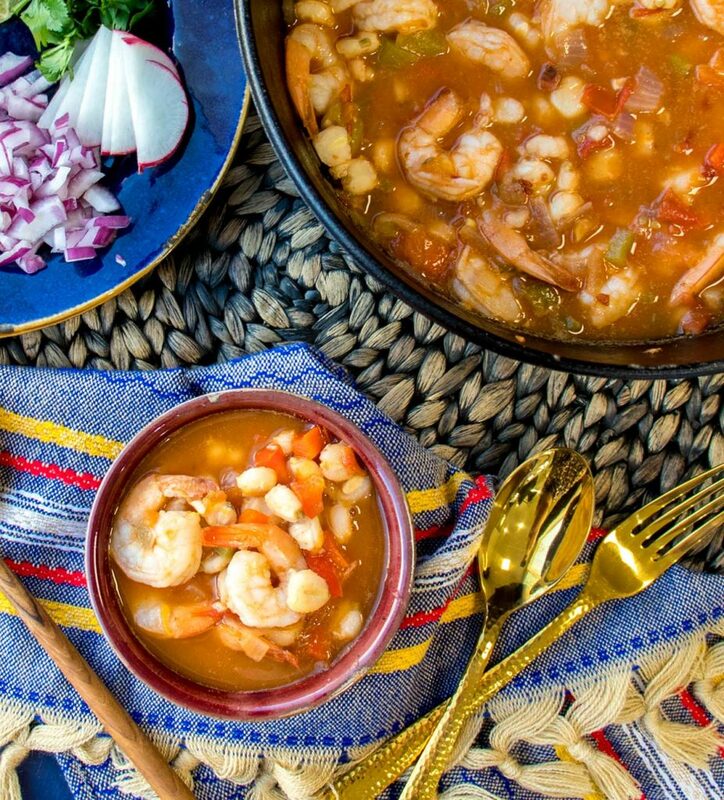 We plated all the garnishes family style so that everyone at the table could add whichever they like to their bowl of shrimp pozole. 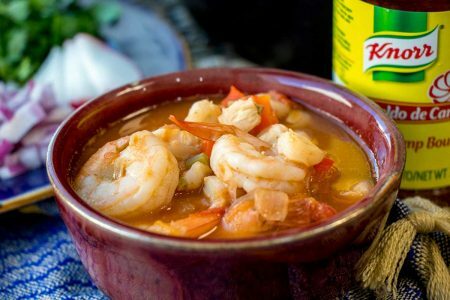 I like limes, my husband likes lemons … this is where you can really make this dish extra special for each person in the family by including their favorite pozole toppings with the meal. And when you're choosing to go meatless, the experience is made even better with special touches like this. What are your plans for Lent? I'd love to know if you have any meatless favorite recipes that you make during this time of year … leave me a comment all about it!